The blood from the elephant seal turned a large section of the ocean red. A group of Bay Area whale watchers is telling a whale-of-a-tale that has nothing to do with whales at all – but rather sharks. The group was cruising near the Farallon Islands on Sunday when it encountered a white shark mid-attack on an elephant seal pup. While the incident ended badly for the elephant seal, the 45-member tour group was treated to a sight few will ever see outside the Discovery Channel’s Shark Week. Fortunately for those who weren’t there, the ship’s captain shot video with his Iphone. It shows a bloody sheen with a lot of opportunistic sea birds milling about. Every now and then you can make out a large shark thrashing about and taking ferocious nibbles from the carcass. Observers estimated the shark to be about 18-feet long. Although the Farallon Island’s prodigious sea lion and elephant seal communities might not share the “angelic” part of the account, it does go with the territory. The waters of the Gulf of the Farallones are prime feeding ground for white sharks between August and November. The blubber of elephant seals is a favorite dish. The bloody encounter lasted about six minutes. Toward the end, the shark took a curtain call by swimming under the boat. Nazar said it appeared to be eyeing the crowd. 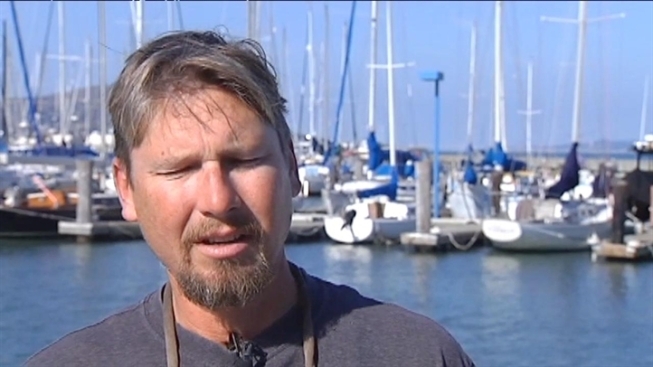 Bernot, who has guided hundreds of nature trips to the Gulf of the Farallones, said he’s seen three shark attacks. But those don’t really count because Nazar wasn’t around with his Iphone to video tape it. The opposite can be said of the poor elephant seal pup whose participation in the great circle of life, took a very public turn. No one said nature, is always pretty. Another very close encounter with a real whale in Santa Cruz earlier this month was also caught on a smart phone. That video has more than 6 million clicks on YouTube and counting. Enjoy.